Or, select SELECTED CONTACT IMPORT. – If a phonebook has already been imported, selecting "Import All Contacts" will overwrite current contacts. Create a list of up to 50 of your favourite contacts for quick, easy access. 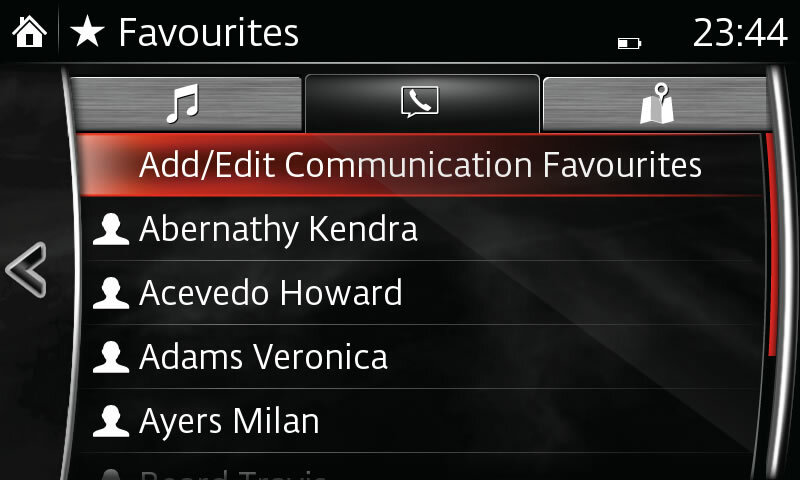 Select FAVOURITES from the Communication menu. 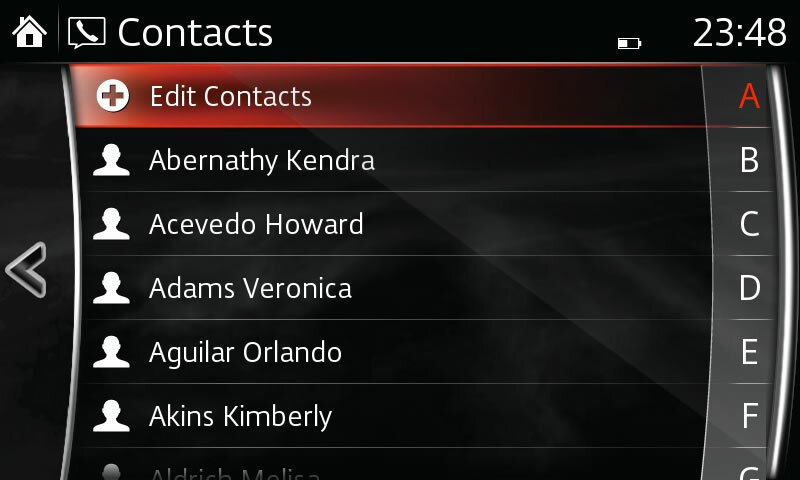 Select ADD NEW CONTACT to display list of contacts, select contact to be added to Favourites list. Move the contact by dragging it or using the multimedia commander.